This little rodent may not look like much — but looks can be deceiving. That's what a sidewinder rattlesnake learned recently when slithering through the desert looking for some dinner. 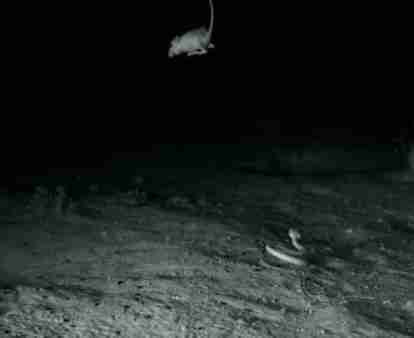 That petite rodent, known as the kangaroo rat, has an extraordinary ability that's sparked the interests of a group of scientists, who recently caught what's so special about him on a hidden camera. "We are exploring the natural behavior, morphology, and physiology of animals in order to gain insight into the hugely complex biological systems that have evolved on our planet," the researchers, who call themselves the Ninjarat Team, told The Dodo. 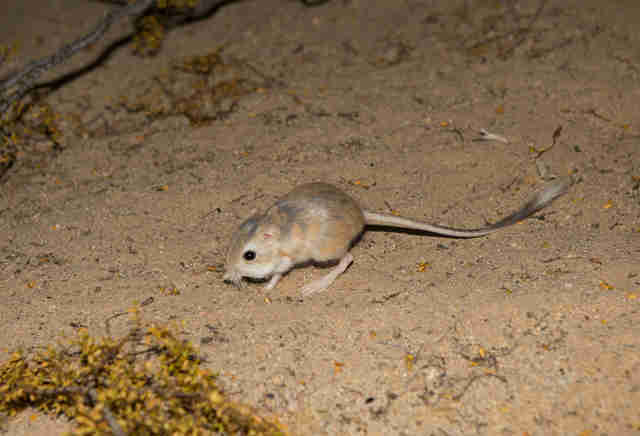 "Kangaroo rats are particularly interesting because they exhibit a number of unique adaptations that allow them to thrive in very desolate habitats." The researchers have just published a paper on this amazing move: "During jumps, their enlarged hindlimbs propelled vertical leaps that were multiple body lengths into the air, and these leaps were often accompanied by mid-air kicks and other maneuvers that deterred snakes," they wrote. In milliseconds, the snake's dinner plans changed. 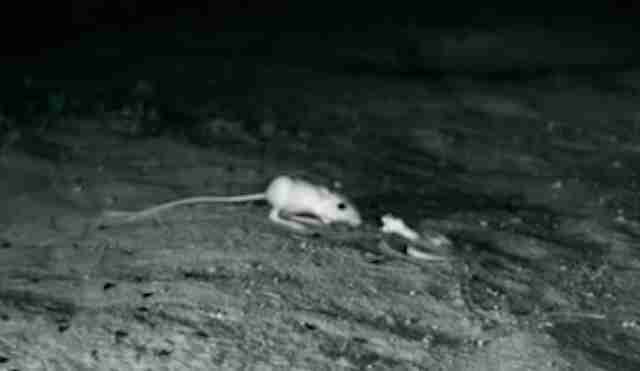 In a flash, the amazingly evolved kangaroo rat was gone. The Ninjarat Team was originally studying the sidewinder rattlesnake when they got interested in his natural prey. "While researching the foraging ecology of sidewinder rattlesnakes, we were puzzled by the ability of kangaroo rats to survive rattlesnake bites without being harmed," the team wrote. 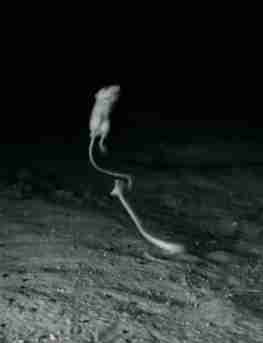 "We had some footage that led us to suspect that the kangaroo rats might be able to ninja-kick the snakes in mid-strike while jumping away, but it was too blurry to be definitive, so we started using much [higher] resolution highspeed cameras to record interactions. That’s how we captured the footage." Now that the Ninjarat Team has discovered more about the kangaroo rat's secret weapon against predators, they'd like to continue to learn more about how this ninja-like rodent evolved. You can help the team keep studying this amazing species by making a donation.